Madrid: Atletico Madrid, Real Madrid and Barcelona smashed 17 goals, whilst Sevilla remain in the title hunt thanks to a long-awaited win on the road. Here, AFP sports looks at five things we learned from week 8 in La Liga. 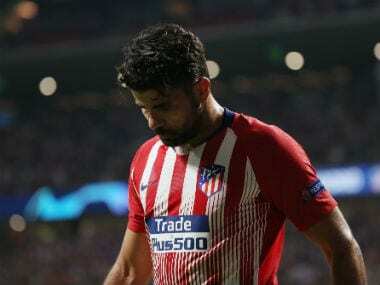 Atletico fell three points short of the title last season despite managing to score four goals or more just once in the entire season. After a 7-1 humbling of Granada, Diego Simeone's men have now hit four or more three times in eight games. Most impressively of all, Atletico's defensive solidity hasn't been forgotten. Isaac Cuenca's stunning shock opener for Granada was only the third time Atletico have conceded this season. 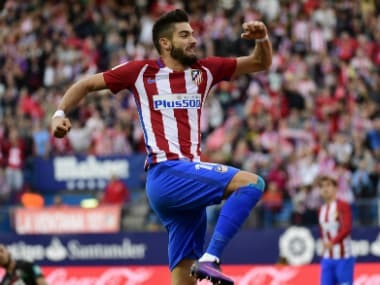 A reliance on Antoine Griezmann for goals was forgotten as the Frenchman didn't even find the net as Yannick Carrasco continued his brilliant start to the campaign with a first career hat-trick. Nicolas Gaitan's first two Atletico goals off the bench also underlined Los Rojiblancos new found depth and variety of attacking talent. Next up for Atletico is a trip to the always intimating Sanchez Pizjuan to face Sevilla. Jorge Sampaoli's men could even leapfrog Atletico after finally ending their woes on the road with a first away league win for 23 games and 17 months at Leganes to remain third, just a point behind the Madrid duo. Sampaoli's reign has so far produced far better results than performances, but with a marked improvement on their travels a first top-four finish in seven years should be the least of the Europa League holders ambitions. 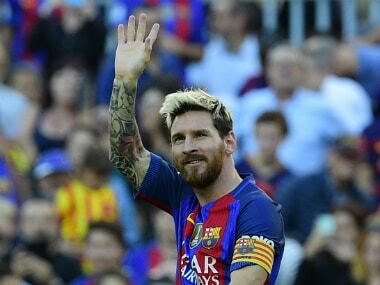 Three minutes and three touches were all Lionel Messi needed to net on his return after over three weeks out with a groin problem. 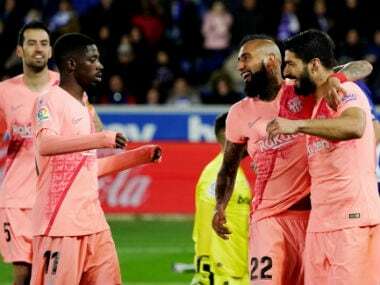 Barcelona's struggles post international breaks have become known as the "FIFA virus", but, even before Messi made his return, the champions were well on their way to victory over Deportivo la Coruna with a 3-0 half-time lead. In the long run Messi's injury may even benefit Barca's long-term ambitions. Nearly a month out and one less transatlantic trip to bail out Argentina's struggling World Cup qualifying bid after a third consecutive summer representing his country can only held save Messi's legs for the business end of the campaign in the new year. Ahead of his return to Barcelona later this week in the Champions League, Man City boss Pep Guardiola was quick to shoot down the often touted suggestion that England's Premier League is more demanding week in, week out than La Liga or the Bundesliga. The strength of La Liga's top six, but also its top-heavy nature was exposed this weekend as Atletico, Real, Barca, Sevilla, Villarreal and Athletic scored a combined 28 goals. However, everyone has dropped points at least three times in the opening eight games of the campaign with the top six separated by just three points. Villarreal's season couldn't have gotten off to a worse start as coach Marcelino was sacked before a ball had been kicked, whilst all of last season's good work was written off by defeat to Monaco in the Champions League qualifiers. However, new boss Fran Escriba has more than steadied the ship with a 5-0 thrashing of the in-form Celta Vigo continuing an unbeaten start to the La Liga season. Injuries to last season's strike duo Cedric Bakambu and Roberto Soldado didn't help early on. 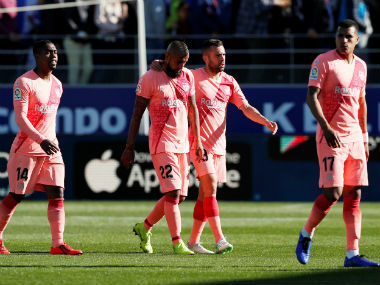 Bakambu started for the first time and scored in a surprise demolition of a Celta side fresh from a 4-3 win over Barca before the international break.